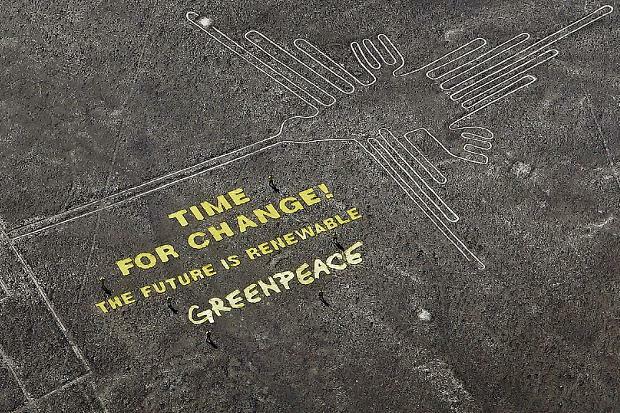 Greenpeace has been accused of defacing a UNESCO world heritage site after unfurling a banner at the site of the famous Nazca lines, considered by some to be sacred to the Peruvian people. On a video produced by the organisation, one of the activists Mauro Fernandez said: “With our message from the Nazca lines, we expect politicians to understand the legacy we need to leave for future generations,” as they themselves may have left their marks obscuring the Nazca lines “for future generations”. “They are absolutely fragile. They are black rocks on a white background. You walk there and the footprint is going to last hundreds or thousands of years” The Times reported him saying. The images, which range from simple lines to complex figures of birds, animals and trees, were made by removing the reddish top stones to show the pale whitish grey ground beneath. There are many theories on what they represent, from a calendar to the movement of water or fertility symbols. Mr Castillo suggested that Greenpeace should pay for the damage they caused to the area, where even ministers and the President must get approval to visit and where everyone must wear special footwear to limit any damage caused by pedestrians. He said the government was seeking to stop those who took part in the protest from leaving the country while the country’s prosecutors prepare a case for prosecution for the charge of attacking archaeological monuments. 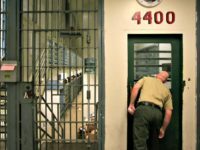 And the legacy for those involved could well be incarceration in a Peruvian jail. If found guilty, the activists could be sentenced to six years in prison. The Committee For A Constructive Tomorrow, (CFACT), a free-market group that opposes Greenpeace’s political agenda, helped force the apology by producing a video featuring Peruvians outraged over the exploitation of ancient Incan and Nazca historical sites. They publicly confronted the activists at a UN hosted event.